The Asian-American point guard who became a sudden NBA star in 2012. 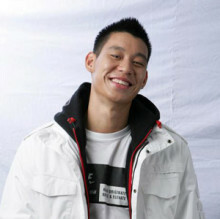 Jeremy Lin is the Asian-American point guard whose sudden rise in the NBA made him the toast of New York in 2012. Before that moment, said The New York Times, Lin had been “an unheralded prospect, a hometown sensation, a scrutinized ethnic symbol and a basketball curiosity, at once intriguing and underestimated and ultimately discarded.” Jeremy Lin grew up in California, the son of parents from Taiwan, and played at Palo Alto High School. No college offered him an athletic scholarship, so Lin went to Harvard, where he played basketball all four years and graduated in 2010. Undrafted by the NBA, he was signed as a free agent by the Golden State Warriors in July of 2010 and played sparingly that season, often being sent down to play for the Reno Bighorns of the NBA’s developmental league (known as the “D-League”). In December of 2011 he was waived by Golden State, picked up by the Houston Rockets, and then waived by Houston, too. The New York Knicks claimed him, and he was buried deep on their bench until injuries to starters put him in the lineup. Lin responded by leading the Knicks to wins in his first seven games, scoring 171 points and dishing out 64 assists in that run, including 38 points scored in a win against superstar Kobe Bryant and the Los Angeles Lakers. His sudden popularity led to a new term among the press and fans: “Linsanity.” He missed the end of the 2011-12 season with a knee injury; before the 2012-13 season, he signed a $25.1 million contract to play for the Houston Rockets. Do you want to hire Jeremy Lin? Directly request a quote. In 48 hours we can send you the availability of Jeremy Lin If you would like to book Jeremy Lin, Entertainment Booking Agency is the right place. We will offer you the best price and contact the management or we directly contact Jeremy Lin. For corporate appearances or speaking engagements you can contact our agents and the will help you true the process. Tags: hire Jeremy Lin, Jeremy Lin booking, book Jeremy Lin, Jeremy Lin appearances, find more information on booking Jeremy Lin for appearances, Jeremy Lin speaking engagements, Jeremy Lin endorsements/spokesperson, Jeremy Lin appearance fees, Jeremy Lin booking agency contact info, biography of Jeremy Lin, Contact an artist booking talent agent find a speakers bureau that can book Jeremy Lin, speaker booking agency for Jeremy Lin, Jeremy Lin booking agency, Jeremy Lin booking for corporate event. EBA is one of the biggest entertainment booking agencies in the World. We book hundreds of celebrities, artist, athletes and speakers in a year. Important to know is that we are not claiming to be the management of Jeremy Lin. We are not the official agent for Jeremy Lin. Companies from around the globe book these artists and speakers true our company be course we have one of the biggest networks and we always have direct contact with the artist or the management. We help you to find the right celebrities for your corporate of private events. Please contact one of our agents to get free advice and we will help to get the world-famous artist on your party.